BUILD A NEST AND THEY WILL COME! Valentine’s Day is fast approaching and we wanted to talk birds! We met some birds who do some fancy building when they are looking for a mate! 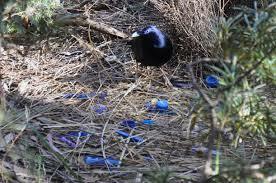 First up- the Bowerbird! Male Bowerbirds build large courtship sites. They build a tunnel like avenue and courtyard called a bower! 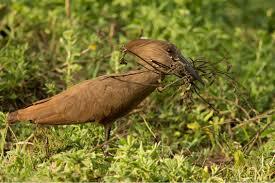 A female will inspect the bower and decide if the male is worth mating with. Watch this video by David Attenborough about these birds! Scientists also think Bowerbirds make an optical illusion with their bowers! These birds are soooo cool! Hammerkops live in Africa and Madagascar. A pair of hammerkops build a nest together. The nests can be up to 5ft across, can have many chambers and weigh up to 55 lbs. They build the largest nest of any bird in Africa. 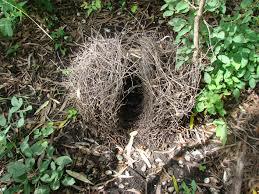 Abandon nests are used by many other species. These two species of birds are quiet amazing! That is loads of work to attract a mate and have chicks! We are tired just thinking about all that nest building! Anyone out there planning on building a nest for their Valentine this year?